When Asma moved to the UK in 1991, she did not even know how to boil an egg. In 1993, Asma traveled back to her ancestral kitchens and, over time, learned recipes that had been in her family for four generations. 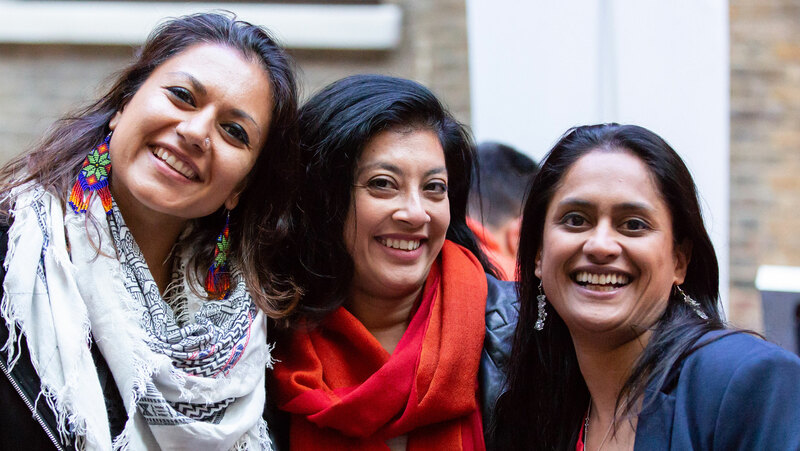 After finishing her doctorate in British constitutional law in 2012, Asma decided to follow her heart and open a food business - the Darjeeling Express supper club. Asma's ancestry stems from the royal Mughlai and Nawabi school of cuisine. In addition to her Mughlai roots from her father's side, Asma cooks the food of Calcutta, the city where she was born and raised. The result is a lovely mélange of street food like papri chaat and royal recipes like lamb dum biryani that take you on a journey from Calcutta in the east of India to Hyderabad in the south. Cyrus Todiwala OBE is one of Britain’s most successful and widely admired Indian chefs known for his refined, elegantly spiced and sophisticated cooking. His chain of unique and authentic gourmet restaurants including Cafe Spice Namaste, the landmark Pan-Indian restaurant, and the new restaurant Assado which he runs with his wife Pervin. 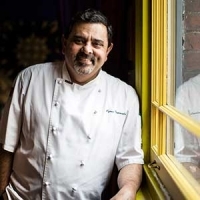 Through his regular media appearances, cook books, and Mr Todiwala products he has a passion for everyone to buy British, find comfort and joy in the kitchen, and learn all they can, and more, about great Indian food. Visit our Dine Out page and find out how you can visit Cafe Spice. 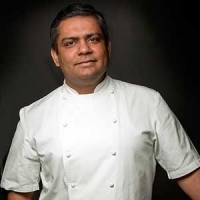 Following the success of his modern Indian cuisine, Vivek and his team launched Cinnamon Kitchen and Anise in the City in 2008, and Cinnamon Soho in 2012. Vivek visited our projects in Chhattisgarh, India, a few years ago and has hosted a number of fundraising events at his restaurants to support the families we work with. 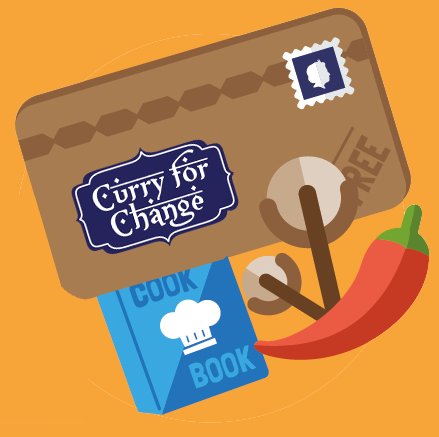 The Cinnamon Group are taking part in Curry for Change this June, find out more on our Dine Out page. She has worked across the world in innovative restaurants and appeared in prime-time television series such as Indian food Made Easy. 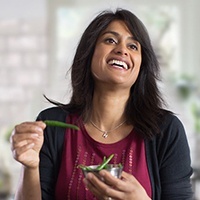 Anjum has written and published numerous books and is currently working on her 5th book, called “I love curries” and is a collection of our favourite curries from the home and from restaurants. In 2011 Anjum and her husband also launched a new range of authentic and traditional Indian sauces called The Spice Tailor. Hari Ghotra is an Indian cook and teacher, as well as marketing professional, entrepreneur and mother of two. She is also the founder of harighotra.com, the hugely popular website dedicated to getting you to try cooking and sharing authentic Indian food at home. Hari was born in Wolverhampton to parents who brought their love of Indian food to the UK. So as Hari grew up experiencing both cultures, she began sharing everything her mother had taught to her English friends. As the success of her Indian cookery courses grew, Hari transferred her skill, imagination and love of sharing to the online world. She has now created a place where everyone – whatever their ability – could try cooking delicious Indian food. From videos to blogs to curry kits, Hari will teach you everything you need to know! Born in Lincolnshire to Ugandan Asian parents, Meera was surrounded by a wonderful assortment of all things delicious from a very early age. Cooking is a huge part of her heritage and her love for ancestors’ food and desire to keep their food traditions alive led me her journey back to her mother’s kitchen to capture the recipes from her childhood. 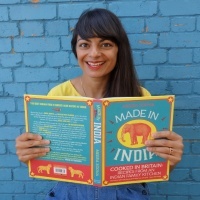 In 2014 Meera's first book was published, Made in India, and she keeps her blog full of family recipes or products of her experimentation using traditional Indian techniques and new seasonal ingredients. Either way, each recipe should take roughly the same amount of time to make as it would take you to order an Indian takeaway. 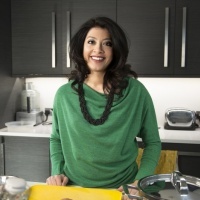 Mallika Basu is a popular Indian food writer and the author of Miss Masala: Real Indian Cooking for Busy Living (Harper Collins). 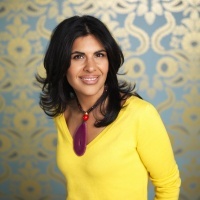 She writes a weekly column for the London Evening Standard and also presents Indian food related videos for London Live. She has featured both on Madhur Jaffrey’s Curry Nation, and on Jamie Oliver’s online cookery channel FoodTube. Mallika was despatched to England for university by her high-profile political family in India, with the recipe for one chicken curry and one dal. She didn’t even know how to boil an egg. Since then, she has tried to replicate the gorgeous and wholesome food she grew up on in her very own, and thoroughly contemporary, Indian kitchen. The Urban Rajah (aka Ivor Peters) is a food writer, cook, presenter traveller and lifestyle adventurer with roots deep in the Indian Subcontinent. He writes for newspapers and magazines including The Guardian, Hello, Delicious, Olive and his cookbook, Urban Rajah’s Curry Memoirs tells the story of his love affair with curry through over 80 familial recipes. Humorous, engaging, vivid, brave, delicate and abundant it’s through their stories he provides access to family recipes which have been passed down through 3 generations and crossed 3 continents. 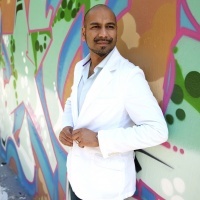 As a guest chef he’s appeared on Channel 4 and BBC London and is a regular on the food festival scene demonstrating accessible Indian spiced recipes. He recently dished up 1,000 covers at his two day pop-up restaurant Urban Rajah’s Indian Streetkitchen and managed to keep his trademark handlebar moustache from wilting under the pressure! He’s toured the UK with his supper clubs, presented content for Kingfisher Beer and just launched a gastronomic promotional campaign for Bespoke Hotels India. A second generation immigrant and a son of 70s Britain he grew up on hot summers, street cricket and spiced Indian food which has narrated his life. 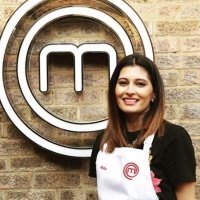 Nisha Parmar appeared on BBC1’s MasterChef 2018 and finished as a Semi-Finalist. She wowed the judges and Michelin Star chefs with her flavour combinations. Nisha learnt to cook from her mother who told her “no one will marry you if you cant roll round chapattis!” Since learning the basics, she’s self-taught and travels the world for her inspiration. Nisha loves experimenting with fusion foods. As well as her mother being from India, her father is from Mombasa, Kenya, so she takes these influences and blends them seamlessly with her British born roots. Vaishali Shah is an entrepreneur, award winning designer and philanthropist. 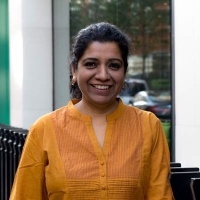 In 2000 Vaishali founded Creative ID, who designed the logo and developed the branding for Curry for Change, in addition to supporting all aspects of the campaign. 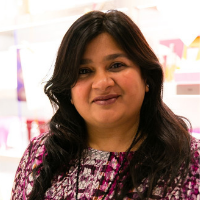 Vaishali was a Trustee for Find Your Feet, and remains strongly linked with Find Your Feet and Health Poverty Action, and is now a key Ambassador for Curry for Change. Vaishali's Indian heritage and travel experiences influence her design creativity. A natural at making people feel at ease, Vaishali also heads up Female Focus, an exclusive global networking group for successful, influential businesswomen. In 2017, Vaishali was a Finalist in the London Asian Business Awards for 'Entrepreneur of the Year'.